Although the improvements involving materials and construction are long and noticeable, the F50 now also sports a very new look. The 3 stripes run horizontally from the instep and outside of the boot towards the toebox and the look has made it seem a lot less like an American football cleat and makes the boot look sharp (whereas the last adiZero made many think of the “other” football boots). 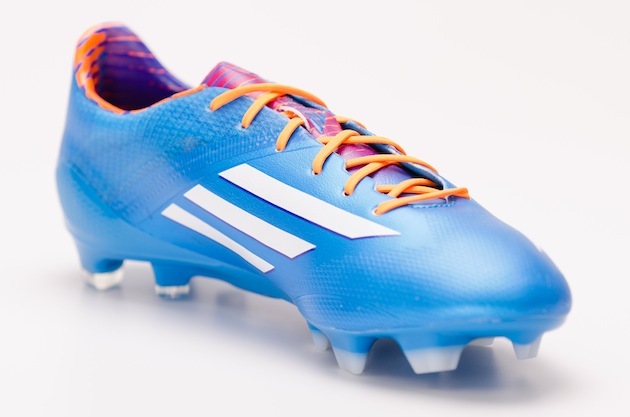 Despite the Samba collection of F50’s having some vibrant colors on the collar and the tongue, it still gives it a good overall look and the blue or orange option will appeal to a large group of adiZero fans. I also enjoy the large branding on the heel that every brand seems to be moving towards, but that aspect will definitely have a split opinion. The SpeedFoil on the back half of the boot looks better in person, but it gave me the impression (both in looks and while touching it) of a mesh covered with a layer of dried hot glue…definitely an interesting creation from adidas. The F50 has continued to be the ultimate in “barefoot” touch on the ball and the change to HybridTouch over the previous synthetic only increases the feel. There is not a boot with a touch that is more pure on the ball and the new upper has (somehow) only increased the amount of fun that the F50 is when dribbling the ball. Shooting is very straightforward with the new adiZero as there are zero elements involved with the upper that will affect your shooting. Striking the ball feels great, but anyone making their first foray into the F50 should know that there will be a bit of a learning curve as the lack of padding means you feel every strike (and ever rogue stud from an opponent’s boot). 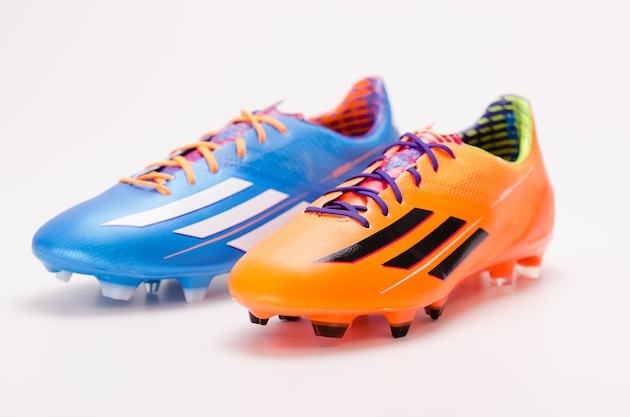 If you are looking for immaculate feel on the ball then the newest F50 should quickly become one of your best options. The tongue is a thin synthetic and has no padding behind it, which help make the touch uniform across the boot but it certainly will not keep your foot safe from lace-bit if you tie your laces a little too tight before the boot is broken in. 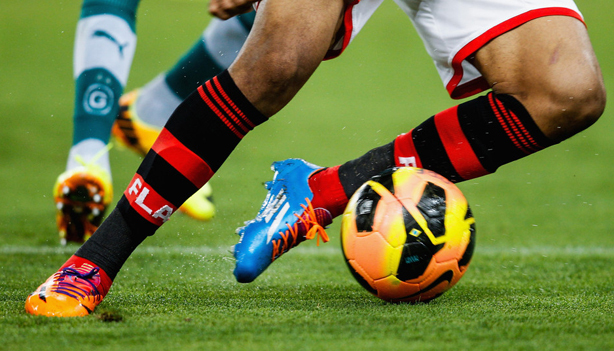 The HyrbidTouch upper extends to all portions of the boot that you will be using for addressing the ball, so that should prevent any worries about how the SpeedFoil feels on the ball. One last note would be the use of what adidas are calling “DribbleTex” that they have placed around where the Lethal Zones boot would have the “Sweet Spot” zone. 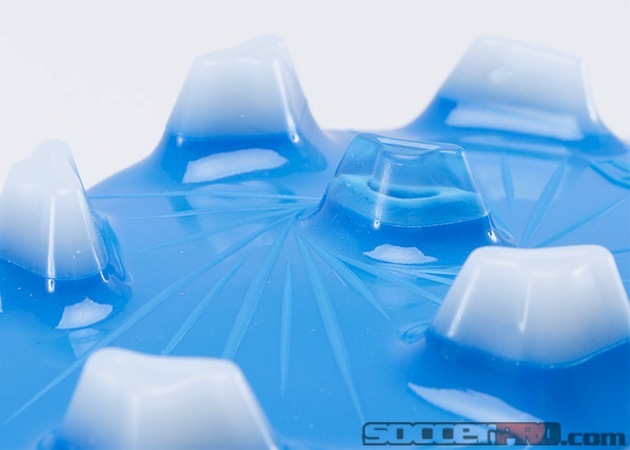 All it is is some slight texture that is meant to aid in ball control, which it does seem to do. However, the level of grip is not so much that it will take too much getting used to. Yet again, it may seem like another miniscule improvement, but it adds up to create a great complete product. In the past, breaking in the F50 was painful and the comfort (even after break-in) never was something worth mentioning. However, the shift to a new upper material and with the suede-like material lining the inside of the forefoot the adiZero finally has achieved a very high level of comfort. The break-in is a much smoother ride than with the predecessors to this boot and the slight changes by adidas have also led to a better fit in the ankle…definitely making you feel like your feet are much more secure and that your ankles are a lot less likely to roll. The new stud configuration in the forefoot (the back four studs have not changed from the older F50’s) does feel like a genuine improvement as well! 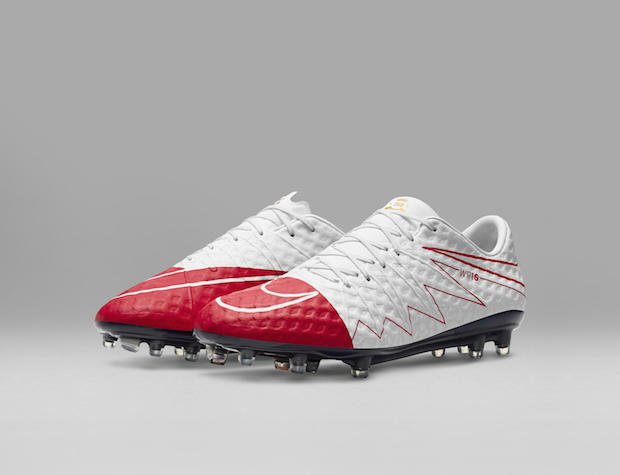 The shift to smaller triangular blades seems to aid in the traction that you would want from such a lightweight boot. It also has helped evenly spread the pressure in this region and has only aided in the general comfort of this boot. One small note is the addition of a small nub at the very tip of the soleplate. 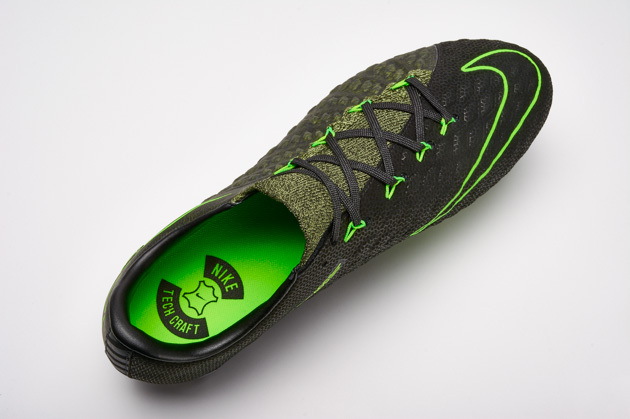 Although Nike has flirted with this type of thing in the past, the piece on the F50 does seem like it helps out a bit as you dig your toe in to push off and it should aid in the overall traction. My only concern is that referees that have been in the game for a while might confuse it for a toe-stud and tell the player that the boot is not allowed to be used in a game. Hopefully, this will not be an issue and we can continue to label it as a positive change from the German boot makers. 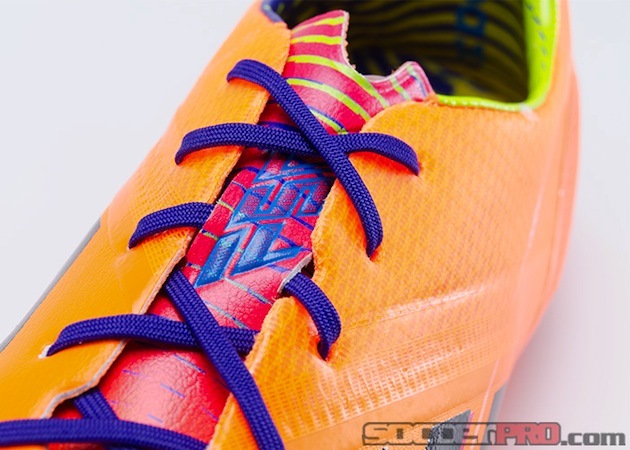 Without a doubt, this is the best F50 that adidas have ever released. 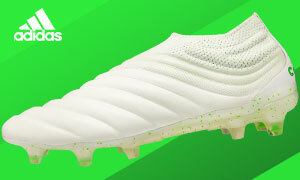 The listed weight (5.3 oz) is amazingly impressive considering that it truly feels that adidas have added to the boot instead of taking materials away, while the comfort of this F50 shows that you do not have to sacrifice comfort for weight. In all actuality, this will end up being the first F50 that I can genuinely recommend to other players and it has really impressed here at the Instep. While it may not have won the speed boot “war,” the newest F50 has definitely shown that adidas are still one of the best in the business. SIZING: True to size, but if you are scared of it being too tight, then ordering a half size too big should not create too much of a problem. Nice boots. 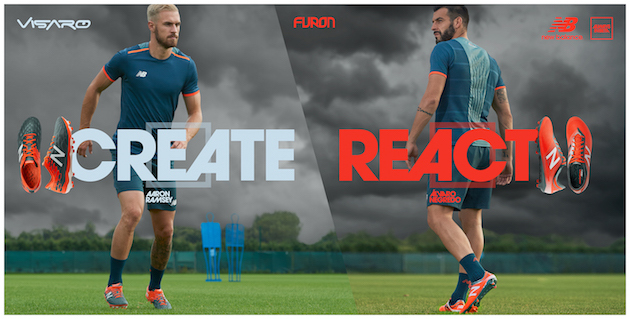 I have tried them on at my local soccer shop and I must say that they are truly comfortable from out of the box. My main gripe with and light weight boot is the lack of any decent protection. Personally even though I loved dribbling with my past F50s, I was always left with very deep contusions whenever I was cleated by an opposing players boot. I think for now I will stay with my K-leather Diadora options!